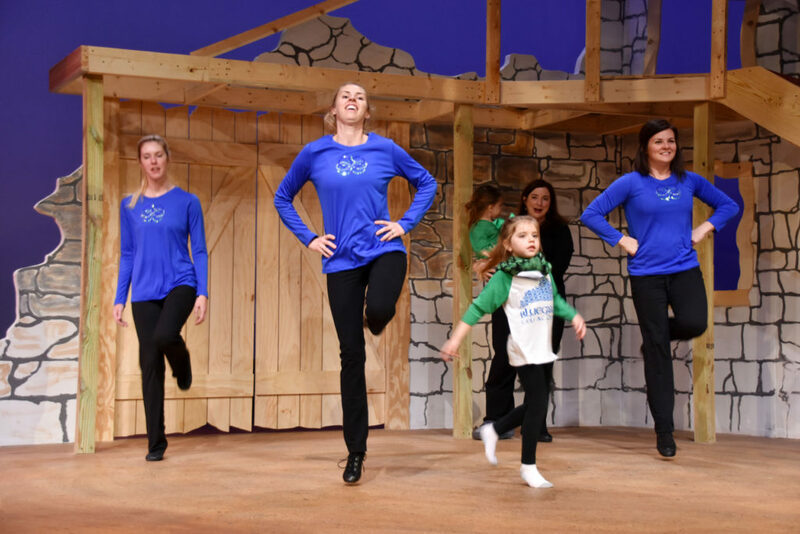 October is National Arts and Humanities Month and a great time to look at what the arts, such as our Lexington Irish dance classes, can teach your student – whether that’s something as simple as a dance step or a broader life lesson. Students involved with the arts are four times more likely to be recognized for academic achievement and three times more likely to be awarded for school attendance. High school students who take four years of arts and music classes average almost 100 points higher on their SAT scores than students who take only one-half year or less. Low-income students who are highly engaged in the arts are twice as likely to graduate collegeas their peers with no arts education. Teaching creativity develops critical thinking skills, engages students and fosters innovation. Seventy-two percent of employers say creativity is a primary concern when they’re hiring, yet 85 percent of those employers can’t find the creative applicants they’re seeking. What the research shows is that students who get involved with the arts – dance, music, visual and cultural arts – excel. Reaching these students is why our Lexington Irish dance classes are held at Artworks at the Carver School, a cultural arts center offering a wide range of arts education to youth and adults. Artworks’ mission “is to educate, inspire artistic creativity and enrich the lives of participants by providing opportunities and resources to people of all ages and abilities.” They are the perfect partners for our community-minded program, which promotes traditional Irish dance by providing a supportive learning environment for dancers of all ages and skill levels. Teamwork. Self-confidence. Adaptability. Graciousness. These are the qualities we strive to inspire in each of the students in our Lexington Irish dance classes. 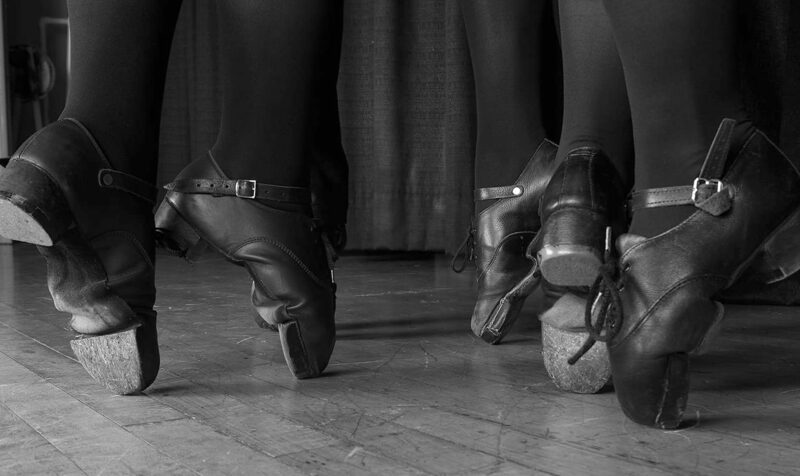 Ceili dancing is all about teamwork, bringing groups of dancers together to create a cohesive performance. Each individual dancer needs to know their part, and needs to support the others on the team in order to make the choreography work. Mastering your own part and working with others towards a common goal is a lesson we can all learn. Stepping out on stage to show what you’ve learned takes self-confidence. Through community performances, recitals and competitions, students in our Lexington Irish dance classes learn to be confident in public. 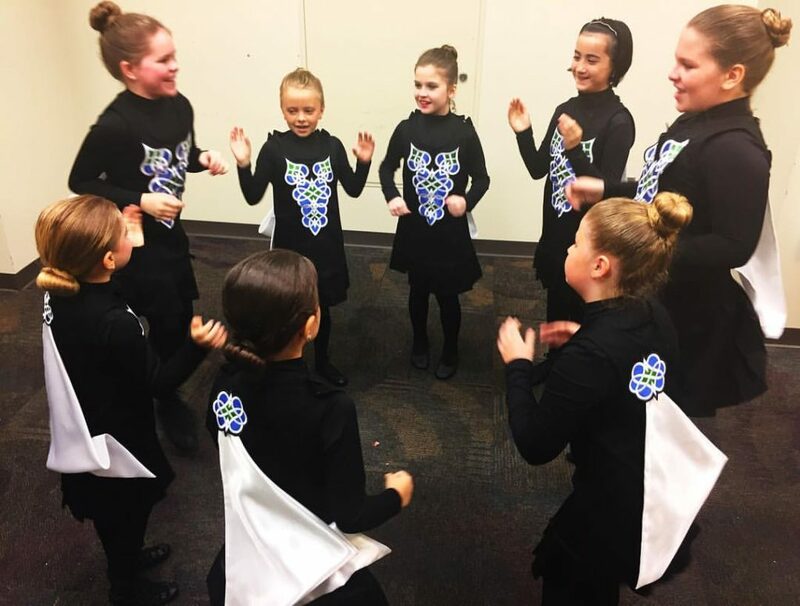 Not all dancers want to take center stage on their own, but as part of a team, each student is encouraged to share their love of Irish dance with an audience. Things don’t always go the way they’re planned. With dance, you can forget the steps, turn the wrong way, the music stops, or you take a bad step and fall down. We teach our students to get up and keep going, to adapt and not let the little things (or even a big slip) keep you from finishing. Learning that the show must go on, and how to keep it going, is a lesson we want our Irish dancers to master. But if there’s one quality we want students in our Lexington Irish dance classes to learn through their association with Bluegrass Ceili Academy, it’s how to treat others well. Life isn’t always going to be fair: you’re not always going to win, or be the star, or get what you want. Knowing how to handle disappointments with graciousness and being a good sport is a lesson we hope to share with our students. Find out more about Bluegrass Ceili Academy by connecting with us online via our Facebook, Twitter, Instagram, YouTube, Google+ and Snapchat accounts or sign up to get our periodic email newsletter.